Page added in June 2005. Sittia on the northern coast of Crete, not far from its eastern tip, Cape Sidera, was the last European port of call on the journey towards Cyprus, Syria, Lebanon or the Holy Land. 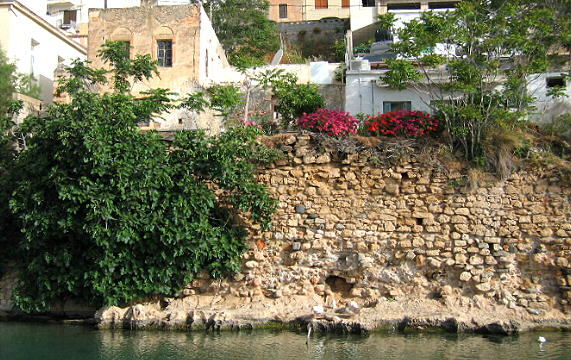 The inhabitants of Sittia were protected by a small fortress on the top of the hill from which low walls reached the sea where another wall on the shoreline completed the defence system. Sittia was known for its sultana and until the end of the 1930s could only be reached by sea. The journey by land from Aghios Nicolaos via a mule-track required more than 12 hours. Today it is, similar to many other locations of the island, a booming tourist resort. The fortress and in part the maritime walls are still there, while the walls which linked the two are lost. The fortress is called Kasarma after the Italian caserma (barracks) and it shows signs of the Ottoman period in the shape of the look-out turret above the entrance. The keep inside the fortress was the last defence in case the enemy had managed to get inside the walls. Most likely it was strengthened by a tower. 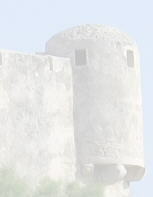 Unlike other fortresses in Greece, the Kasarma of Sittia is properly maintained and there is a custodian. 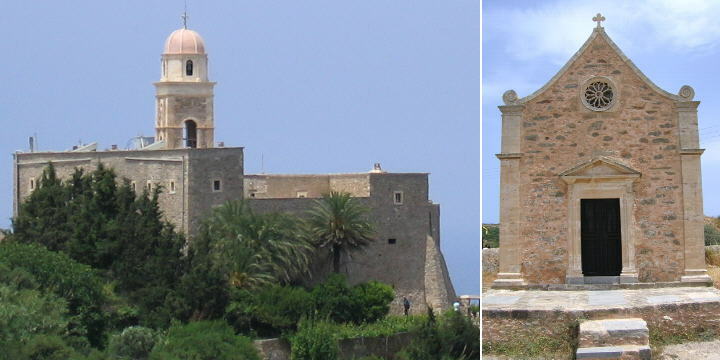 After the fall of Cyprus in 1571, the last bell tower sailors saw on their journey to the Eastern Mediterranean, was that of the monastery of Nostra Signora del Capo (Our Lady of the Cape), located near Cape Sidera. The monastery has the features of a fortress: because of its isolation it was the target of pirate raids. The situation did not change when the Ottomans occupied the island; the Knights of Malta replaced the Algerian corsairs. This explains the current name of the monastery, Moni Toplou, where Top means cannon (Topkapi (in Constantinople) = gate of the cannon), because the Ottomans authorized the monks to have a cannon to defend themselves. 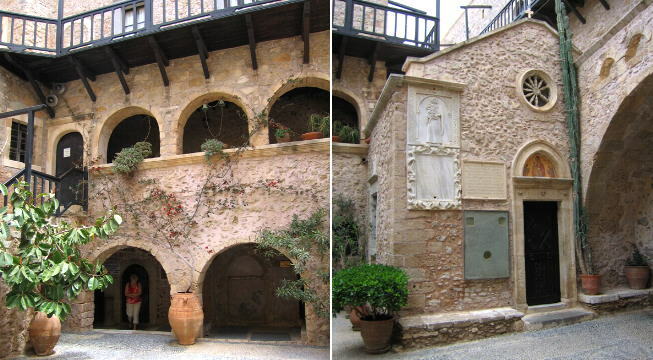 The monastery retains most of its XVIIth century Venetian features and the church has some fine paintings by Ioannis Kornaros, a Cretan painter with a Venetian surname (see Caterina Cornaro and Cappella Cornaro), who craftily combined Italian design with Byzantine spirituality. The very short eastern coast of Crete was and is almost unpopulated. The only fortress built by the Venetians to protect communication between the northern and the southern parts of the island was located on the flat top of a promontory protecting a bay. Its remaining scanty stones are the reign of goats, as the Ottomans had no interest in maintaining the Venetian fortress: with the conquest of the island the Eastern Mediterranean Sea had become an Ottoman lake. Earthquakes and strong winds have almost entirely cancelled Paleocastro (old fortress), although its name still lives in a nearby village.